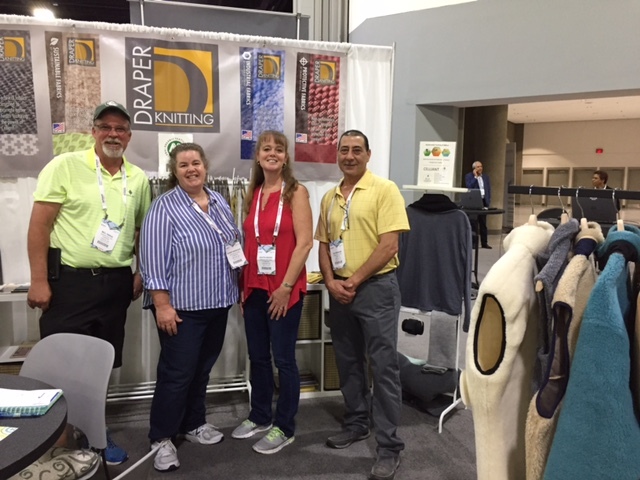 Four Draper team members attended our booth at the Techtexil North America Show in Atlanta this past May. Draper is planning on having a booth again when the show comes back to the USA in Atlanta in May 2020. This show brings together the best of North American technical textile and sewn products industries to collaborate on the growth and newest innovations in the textile world. You can read more about Techtexil and Texprocess here. Draper attendees were Bill Shaul (Facility Superintendent), Wendy Barrows (Samples Coordinator), Kristin Draper (General Manager and R&D), and Ed Eknaian (Production Manager).